And all the craftsmen among the workmen made the tabernacle with ten curtains. They were made of fine twined linen and blue and purple and scarlet yarns, with cherubim skillfully worked. The length of each curtain was twenty-eight cubits, and the breadth of each curtain four cubits. All the curtains were the same size. He coupled five curtains to one another, and the other five curtains he coupled to one another. He made loops of blue on the edge of the outermost curtain of the first set. Likewise he made them on the edge of the outermost curtain of the second set. He made fifty loops on the one curtain, and he made fifty loops on the edge of the curtain that was in the second set. The loops were opposite one another. And he made fifty clasps of gold, and coupled the curtains one to the other with clasps. So the tabernacle was a single whole. He also made curtains of goats' hair for a tent over the tabernacle. He made eleven curtains. The length of each curtain was thirty cubits, and the breadth of each curtain four cubits. The eleven curtains were the same size. He coupled five curtains by themselves, and six curtains by themselves. And he made fifty loops on the edge of the outermost curtain of the one set, and fifty loops on the edge of the other connecting curtain. And he made fifty clasps of bronze to couple the tent together that it might be a single whole. And he made for the tent a covering of tanned rams' skins and goatskins. When Moses finished the work on the tabernacle it was filled with the glory of the Lord, and even Moses was not able to enter into it. Exodus 40:34-35. 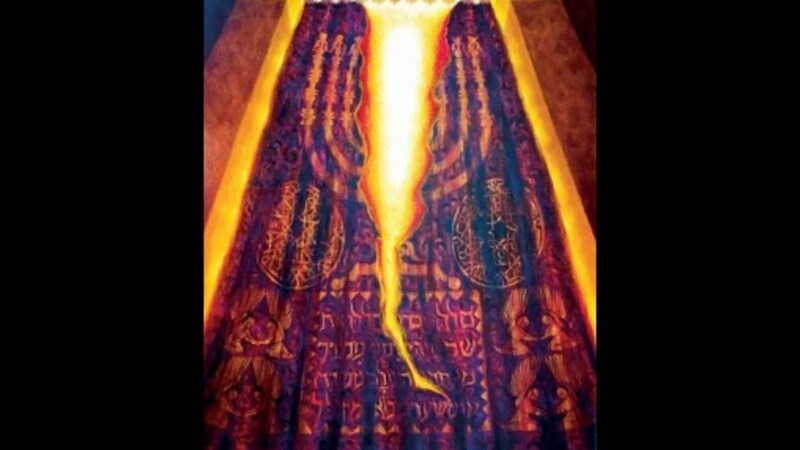 In time, God told Moses to tell Aaron, the high priest, that he could not walk behind the curtain and into the Most Holy Place whenever he wanted either. Leviticus 16:1-2. Instead, the high priest could enter into the Most Holy Place -- the place where God made his dwelling -- only once a year on the Day of Atonement. One man could enter the most Holy Place, and only once a year. And even then, the high priest had to follow meticulously the rituals laid out by God. If the high priest entered at any other time he would die. See Leviticus 16:1-34. So too, when Solomon finished his work on the Temple it was filled with the glory of God. All those who were there for the dedication -- the priests, singers and musicians -- had to stop what they were doing. The priests could not even enter the temple. Instead, they all knelt with their faces to the ground and worshiped. 2 Chronicles 7:1-3. The temple Solomon built was 30 cubits high (1 Kings 6:2), but in the time Jesus walked on the earth in human form the new Temple built by Herod was probably 40 cubits high. That means that the curtain or veil concealing the Most Holy Place was likely somewhere near 60 feet high. The veil may have been as much as four inches thick, and it was fashioned from blue, purple and scarlet material and fine twisted linen. 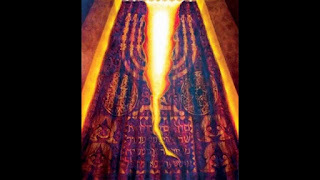 The veil surrounding the tabernacle not only separated God from man, but it protected man. To be in God's presence meant death. To be in God's presence was more than any man could bear. It is why Isaiah cried out that he was ruined when he encountered Jesus on the throne (Isaiah 6:5), and why Peter pleaded "go away from me, Lord" when he encountered Jesus in the flesh. Luke 5:8. It is funny, but no matter how prideful, arrogant, self-reliant and self-centered any man may be, all of that changes in the presence of our Holy God. It is, from what I can tell, the universal response of man to the presence of the one true God to fall face down before Him. In the end, every knee will bow down before Him, and every tongue confess His name. Romans 14:11. We know deep inside that our sin disqualifies us from being in His presence -- we do not belong there. Having a "personal relationship" with Jesus is part of the Christian lingo we employ these days. These are words that roll off of our tongues easily enough, but I wonder how much we really comprehend the magnitude, and cost, of this gift. I wonder how much most of us really pursue the kind of relationship that Jesus truly offers us. 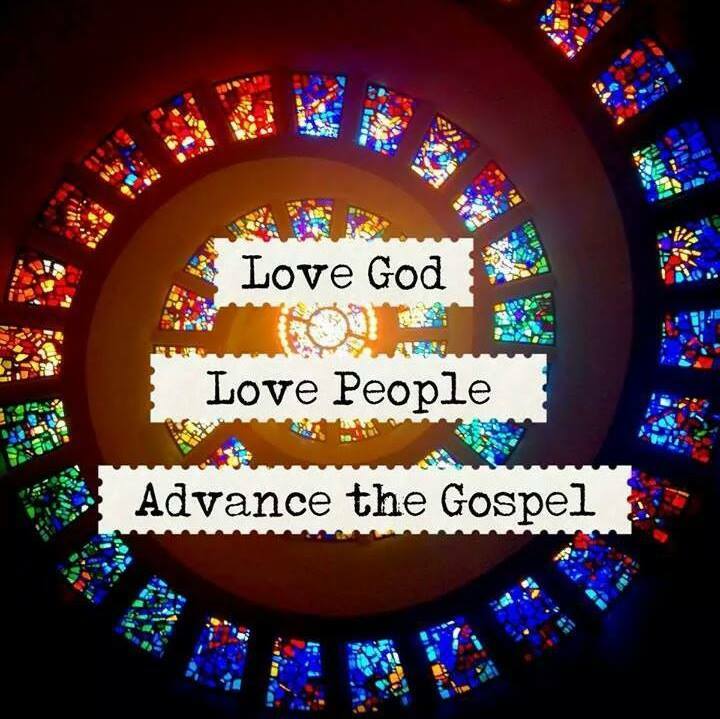 Jesus is not looking for a casual relationship with us. He calls us "friend" and that is what we are. But He is also still God. And his desire is for us to have a passionate, all consuming relationship with Him. He wants to dwell in a new temple where his commands are written on our hearts and minds instead of on tablets of stone. He wants us to love Him so much that our obedience is also our joy. He wants us to long to be in his presence. The question that I think we need to ask ourselves is this: Do we really believe that just being in God's presence is far better than anything else we can imagine? If we do, our hearts will burn with the desire to be with Him, and the promise of that eternity will drive our present.